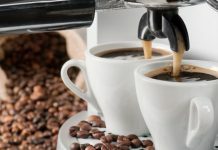 Although there are plenty of people who love their coffee black, there are even more who love their coffee with just a splash of creamer in it. In fact, it’s probably the default way for most people to drink their morning cup of Joe and why wouldn’t it be? After all, adding creamer to your coffee can turn a good coffee into a great one and a mediocre coffee into a good one. Choosing a creamer that is both palatable and also fits in with your lifestyle isn’t always easy, however. That’s because there are dozens of different creamer products currently available. That’s why we’ve decided to list the ten products that excited us and that we think are the best ones available. Any of the following brands is sure to bring a little bit of joy to your cup of coffee. Designed to be used with not only low-carb diets but also Paleo and Keto diets, this Keto coffee creamer is ready to transform coffee into something quite special. This product is manufactured with high-quality ingredients and can be used in not only hot or cold coffee, but can also be blended into health shakes, into chai tea or made into smoothies. It’s made with 100% grass-fee Ghee, organic coconut oil and organic Stevia extract. This product is also made with non-GMO sunflower lecithin and contains zero carbs in its formula. And it’s available in exciting flavors including vanilla, cinnamon or cacao. This smooth creamer is made from coconuts and almonds and is free of some of the unhealthy ingredients found in other creamers. This product is not only dairy-free, but it’s also free of added sugars or soy. It’s also made without Carrageenan, too. This means that this unsweetened creamer is Kosher, Vegan, Gluten-Free and is also a non-GMO product. It’s also considered Keto and Paleo-friendly, so it won’t interfere with most people’s healthy diets. This package comes with three 11.2-ounce bottles that are shelf-stable before they’re opened. The 3 flavors in this pack are original, French vanilla and hazelnut. What makes this creamer exceptional is that it’s not only dairy-free but is also gluten-free, soy-free and Carrageenan-free as well. In fact, it’s missing a lot of the unhealthy ingredients that can be found in some creamers. For example, it’s made without the use of GMO ingredients. All that’s in this creamer, other than water, is Almond milk, cane sugar, natural flavors, coconut cream, sea salt, locust bean gum, potassium citrate, calcium carbonate, sunflower lecithin, and gellan gum. This means that this product is Kosher and Vegan and is suitable for anyone looking for healthy coffee creamer to put in their hot or cold brew coffee. Although there’s nothing particularly fancy about this coffee creamer, it is economically priced and comes in an easy-to-pour spout. This creamer easily dissolved in both hot or cold beverages, so it can not only be used for hot brewed coffee or teas but can also be used in cold brew coffee, iced tea or any other beverage that could use the addition of a good non-dairy creamer. This product never requires refrigeration and has a long shelf-life, so consumers can buy it in bulk to save some extra money. All of which makes this product suitable for break rooms or any other location. When you mix the innovation of International Delight creamer with the flavor of Hershey’s chocolate caramel, then you’re sure to end up with a coffee creamer that’s going to delight a whole lot of coffee lovers. This product is packaged in small single-size pods that are easy to transport and can simply be tossed into a purse or backpack. This makes it ideal for taking to the office, for traveling, camping or anyplace else a quality creamer is needed. 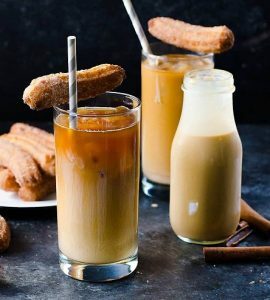 Its delicious flavor is the perfect addition to not only coffee or tea but a whole range of beverages including cocktails or hot cocoa. All of which makes this cholesterol-free creamer one that any creamer fan should consider. These single-serve pods of coffee creamer are everything you would expect from a creamer that’s made with Cold Stone Sweet Cream flavor. Although it may be too sweet for some people’s tastebuds, this creamer is smooth and creamy and will liven up just about any cup of coffee. Its creaminess is actually surprising since it’s not made with cream and is considered a dairy-free product. This product can not only be used to liven up coffee, however. It can also be added to other beverages including hot chocolate, cocktails, milkshakes or even tea. And since their single serve containers, they’re easy to carry, transport and use. To be honest, it’s important to note that up until recently there weren’t really many good options for people who wanted a creamer that was not only sugar-free, lactose-free and cholesterol-free, but also still had a good flavor to it. At least, that was the case before this product hit the market and began to impress people with its tasty hazelnut flavor. This product is not only made without sugar, but it’s also gluten-free, cholesterol-free and lactose-free. Although it is made with sodium caseinate, so it’s not completely dairy-free, it’s still a creamy product that many people will enjoy adding to their coffee. This Keto coffee creamer has a cacao flavor and is designed to be a zero-carb butter based coffee creamer for people on a Keto diet. This product is made with Ghee butter, which is gluten-free and is designed to increase ketones in the blood. And according to theory, additional ketones help a person burn body fat. Since this product is made with MCT and Coconut oils, it has to be blended together in a blender before use, but once that step has been accomplished, it produces a rich creamer that will liven up coffee quite well and has a nice taste to it. Available in a variety of different flavors, there’s a version of this creamer for just about anyone. This product is available in French vanilla, hazelnut, or vanilla caramel and each of these flavors is fantastic in coffee. These products are also gluten-free, cholesterol free and are shelf-stable until they’re opened. This non-dairy creamer is also lactose-free, so even people with dairy sensitivities can enjoy its smooth flavor and texture. This product is one that can easily be kept in the refrigerator and ready to use at a moment’s notice in the coffee lover’s favorite coffee. Coffee-Mate Original Powder is a coffee creamer that’s enjoyed its popularity for quite some time now, and there’s a good reason why. That’s because this product not only has a long shelf-life of 2-years, but it also has a creamy taste that will liven up any cup of coffee. In fact, some people enjoy its creaminess so much they not only put it in coffee but also put it in tea or cream soups as well. This product comes in a container that’s large but is easy to grip and is considered a non-dairy product. Anyone looking for the best coffee creamer available is going to want to try this product out because it’s pretty good. It’s an unfortunate fact of life that many coffee drinkers simply run to their grocery store and grab the first coffee creamer they can find without considering whether its the best or if there were a better alternative available. Most of the time, this is due to the fact that most coffee drinkers don’t even know what to consider when they’re buying a creamer either online or at the grocery store. That’s why we’ve decided to help our readers out with this informative guide. Although the history of non-dairy coffee creamer is somewhat complex, it can be broken down into several major stages. Henry Ford first started down the path of creating a non-dairy creamer because of his intense dislike of cows, so he created a soy milk demonstration plant. This plant was designed to show the world that soy milk could easily replace real cow’s milk. Bob Rich and Rex Diamond were two of the researchers at this Ford facility, and they would team up to create a variety of different whipped toppings. Rex Diamond’s research was some of the first to mention non-dairy creamer and Bob Rich would go on to create a non-dairy creamer called Perx. As is often said, the rest is history. One of the first questions people often ask is how long does coffee creamer last? And if you’re reading this article, then you may be wondering the same thing. Although most of the commercial coffee creamers don’t go bad very quickly, it’s still important to know the product’s expiration date and how long the product has been opened before you use it. While it’s always best to check the label of the product you’re using for specifics, below are some general lifespans of most coffee creamer products. Of course, if you use a liquid coffee creamer and need it to last longer, then you merely have to date the bottle (so you know when you placed it in the freezer) and then simply put the whole bottle in your freezer. And that’s all there is to it. You can store frozen liquid creamer for up to 6-months without a problem. Can Coffee Creamer Be Substituted for Heavy Cream? Another question frequently asked about coffee creamer is whether it can be used in recipes in place of heavy cream. 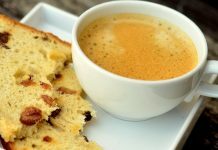 Although in most cases unflavored coffee creamer can be used instead of heavy cream in recipes, it won’t work in recipes where that require the heavy cream to be whipped. That’s because, as you may have guessed, coffee creamer doesn’t whip. 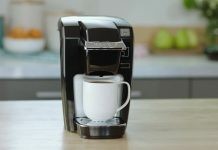 Coffee creamers are pretty basic, but that doesn’t mean that there aren’t a few things that coffee lovers need to consider before purchasing their next round of coffee creamers. Below are a few of these things to consider. All coffee creamers start off with some kind of base upon which they build their creamer. Below are some of the more common bases. Milk: Creamers based upon milk are generally healthier than cream-based ones, but they usually aren’t as rich. Cream: These creamers are usually half-and-half, so they provide a thick and rich base for the creamer. Almond or Soy Milk: Coffee drinkers who are lactose intolerant may want to consider creamers made with this base. It should be noted that just because a product is listed as lactose-free doesn’t mean that product is free of dairy products, so vegans should read coffee creamer labels carefully to ensure the creamer they choose doesn’t contain animal products. Whether you want to choose a powdered or liquid creamer is mainly a matter of personal preference, it should be stated that powdered creamers usually last longer, but liquid creamers usually taste better. Therefore, it’s important for the coffee creamer lover to choose the type of creamer that suits their lifestyle as well as their tastes.